About the author: Emmy-award-winning television journalist, producer and author Tamsen Fadal is no stranger to starting over. Following a very public divorce, Tamsen decided it was time to take her life back, this time as one of a growing group of women: the new single. A group of women who are learning that finding, fixing and falling (back) in love with yourself first is the key to moving forward with confidence and success. About the book: After hearing from so many women in similar situations, Tamsen made it her mission to show these self-sufficient, empowered new singles how to start over: finding themselves first, with focus on career, finances, food, friends and everything in between. The New Single: Finding, Fixing and Falling Back in Love with Yourself After a Break-Up or Divorce is a post-breakup survival guide to everything you need to know about starting over again. Empowering and honest, this self-help guide will help you start over 90 days at a time. My thoughts: A breakup is always difficult, whatever the nature of the relationship that is being grieved. 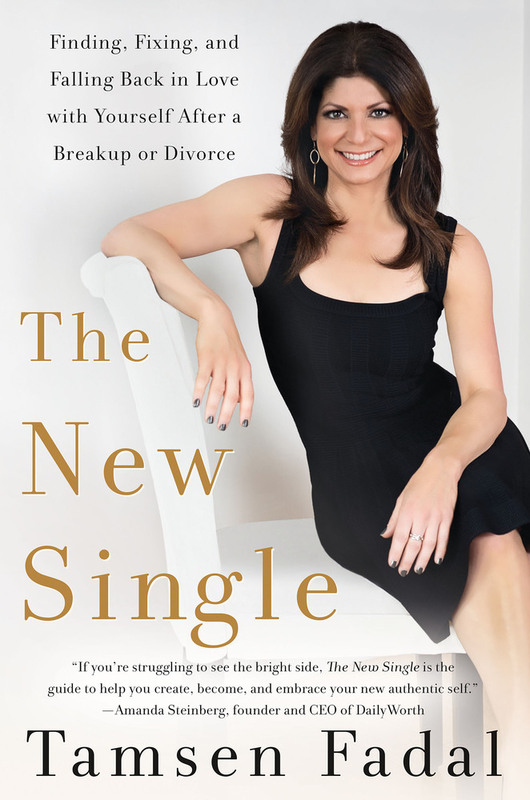 I picked up The New Single wanting to know more about Tamsen Fadal’s tips in “finding, fixing, and falling back in love with yourself”. My motivation for doing so was two-fold. On the one hand, I have many friends going through rough breakups at the moment. I have been reading a lot to find tips on how to help them and to have good resources to recommend to them. On the other hand, I have been through a few non-romantic, extremely breakups myself, and have found such books to be of great help to my situation. Fadal’s experience as a successful journalist and host are reflected in the engaging nature of the book; one is immediately drawn in. Another added benefit is that, contrary to many books on this matter, one doesn’t feel talked down to. If the tone she adopts in this book be a perfect indicator, Fadal doesn’t seem to think of herself as superior. Rather she seems to be just wanting to share her experience with readers as if with a friend. Sometimes she does come off strong, it seems to be more a result of a passionate desire to help and strong opinions than anything else. The New Single can be read both from cover to cover as well as by topic as needed. This makes for a good resource either when in crisis (and thus unable to take in too much) or when looking to gain insights and generate reflection. She suggest dividing the time after the breakup in chunks of 90 days, and dealing with the issues that are most common to that time period. For example, in the first 90 days, she suggests that the newly single woman take the time to just be still, to survey her surroundings, and to remove obstacles in the way to a healthy, happy future. She also recommends taking care of yourself both physically and emotionally and to grasp the opportunity provided to declutter both your physical surroundings and your mind. The tips provided range from the practical and very useful to concept ones, some of which felt unsound to me. A big source of discomfort for me was the consistent focus on the self. A divorce is the ripping apart of two souls who were destined to spend eternity together; oftentimes, issues arise because the self and the ego infect even the best of relationships. Therefore wallowing in the self can only pave the way for more heartbreak. But ultimately, The New Single is a good read and just like with another other self-help book, its advice needs to be taken with a grain of salt.